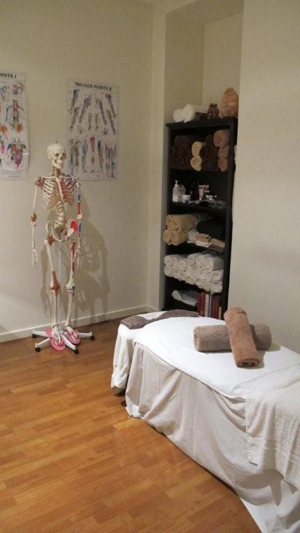 Our Toorak massage clinic is located in the heart of Toorak Village and only 5 kilometres from the city, Eclipse Therapies is easily accessible by foot, car or public transport. There is on street parking available, and trams no. 8 from St. Kilda Rd, stop at our door. We are conveniently located near the corner of Grange Rd, Canterbury Road and Toorak Road. All our therapists have provider numbers with all the major health funds. We provide HICAPS so you can claim your rebate on the spot. When you reschedule or cancel an appointment, we require 24 hours notice; otherwise a 100% cancellation fee will be charged. Confirmation of an appointment is acknowledgement of this cancellation policy. All client receive an SMS 24 hour before, if you unable to attend please call the clinic upon receipt of this text. Massage Gift Vouchers for individual treatments can be purchased as treatment of choice vouchers or a set amount you want to spend. All Gift Vouchers are available for purchase and delivery by calling (03) 9827 7515. Gift Vouchers expires 6 months from the date of issue and are not redeemable for cash. The full value of the voucher Arrival Time can be partially redeemed over the validity period but must be fully redeemed before expiry. Any unused balance will For you to enjoy the full value of your massage not be refunded or credited when the voucher expires. treatment, we ask you to arrive at least 5 minutes before commencement of your treatment. New clients are required Where the cost of the treatment/s and/or purchases exceeds the available voucher balance, the voucher holder will be to fill out a record form. required to make up the difference with an alternative form of Arriving Late payment. This voucher should be treated like cash. Eclipse Plan your “time-out” carefully, as all treatments conclude at Therapies Clinic disclaims any responsibility for lost or stolen the scheduled time. vouchers. All Gift Vouchers are non-refundable and cannot be transferred.